“Senator Tim Johnson Hospitalized,” Keloland TV, 13 December 2006, http://keloland.com/NewsDetail6162.cfm?Id=0,53148. The office of Democratic Senator Tim Johnson says Johnson has suffered a possible stroke. He’s at George Washington University Hospital this afternoon undergoing tests. His condition isn’t being made available at this time. Johnson turns 60 later this month. Congresswoman Stephanie Herseth is asking people to pray for the Johnson family. South Dakota’s secretary of state, Chris Nelson, says if there is a Senate vacancy, Republican Governor Rounds would appoint a replacement who serves until the next general election in 2008. Nelson says as for what creates a vacancy, that’s not defined in state law but it might be in federal law. One of my parent’s knew Tim Johnson from long ago, when they were both my age. Though I never met him, I admired his combination of intelligence and stubbornness. As a Senator, he is known for his quiet support of farmers and farming interests. While other South Dakota senators go for the infamy and controversy circuit, Tim is a tireless pubic servant. Hopefully all well be well, this is being blown out of proportion, and we can plan on running a candidate against him in 2010. Both Jason and Jon over at South Dakota Politics have more. About two months ago I posted Learning Evolved, a series that focused on classroom management. However, unlike Classroom Democracy and Classrooms Evolved, L.E. focused on how students can keep each other in line if the professor is brave enough to super-empower peer pressure. (In this way, L.E. is closer to my series on The Wary Guerrilla than typical classroom management). Very helpfully, Sean Meade directed me to “Community Node-Based User Governance (CNBUG): Applying Craigslist’s Techniques to Decentralized Internet Governance” by Alice Goodmann of the Benjamin N. Cardozo School of Law. I hope to be able to use some of Goodmann’s concepts, ideas, and (of course) sources in the semester ahead. Peer Production eschews the idea of a centralized Internet government, and instead lets individual users to govern the Internet on their own behalf, by enabling them to permit or block contact from other users. By controlling their personal exposure to informational flows, individual users exclude bad actors that contact them, while also lowering the danger of ‘chilling’ content on the Internet as a whole. In determining whether or not to permit a contact to reach a user, Peer Production usually relies on a â€˜trustâ€™ system, built on the recommendation of others that are somehow trusted to certify the value of a communication. An almost completely victorious Republic of Korea succeeded in completely landlocking their evil opponent. Meanwhile, the Republic of China vowed unremittingly hostility against the DPRK holdouts. Now imagne that the Republic of Korea somehow finds oil all over the place — as does the Republic of China. 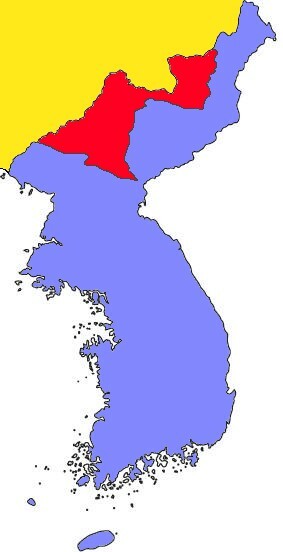 Further, imagine that there is nothing in the DPRK remnant state. Further, imagine if, in the closing days of the Korean War, the greatest problem facing the American government was that a ROK/ROC alliance might defeat the DPRK too well — that Koreans and Chinese would be so united in the fight against Communism that Stalinism would never again have a fighting chance in north east asia. That is an almost perfect analogy to today’s situation in Iraq. Our “catastrophic victory” blinded our power elite to the magnitude of their victory. There is no reason for us to remain in Iraq for the same reason as US Forces Korea would have had no reason to exist in the above version of 1953. Leave Iraq now. When we do, al-Ba’ath and al Qa’eda lose in Iraq. Forever.